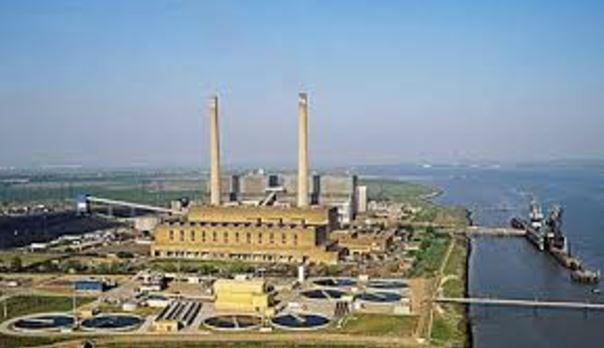 RWE’s plans also include a possible 300 MW open cycle gas turbine and an energy storage facility at the same location as the proposed combined cycle gas turbine plant – or CCGT at Tilbury, Essex. Tilbury is the site of an old coal-fired power plant, closed since 2013. Britain has struggled to attract investment to build large scale gas-fired power plants, despite strong rhetoric favouring this technology, as a means of balancing the growing renewable content on the system. Brief history of Tilbury power station(s). Why are renewables not paid the same way as other power producers? Why do they get a guaranteed price while everyone else gets the wholesale price. The problem is that a guaranteed price will destabilize the market, causing the very problems that the wholesale price was created to solve. With a guaranteed price, wind producers will keep on producing power even when there is too much. And paying them to stop producing is plain silly. It is a formula for the to build even more unneeded capacity. Everyone else gets the wholesale price. Renewables should as well and much of the grid instability would disappear overnight. If renewables got the same price as everyone else, the problems with instability, lack of investment, and skyrocketing power bills would solve themselves. Otherwise not only will you end up paying wind farms not to produce, you will also end up paying companies to build fossil fuel plants that will sit idle most of the time. Energy prices will go through the roof with most of the money being spent for power companies not to produce power. Even the old soviet union would have been hard pressed to invent a more wasteful system. It’s an interesting question why RWE are doing this, when everyone else in the UK energy market seems too scared to invest in either gas or the latest coal technology. RWE may well have asked “what happens to supply if current policy drives all coal fired plants out of business?” Answer a shortage and higher wholesale prices. Also they may have decided that Hinkley would be delayed or not built – hence a shortage and higher wholesale prices. Or of course that the Government and Opposition would continue in their lunatic policies and the result would be a shortage of supply and higher wholesale prices. Alternatively they may be thinking that after Brexit the UK will abandon the green crap and they will be in a better market than in Germany where CCGTs are shutting down or being dismantled and moved to other countries. Maybe the UK should be following Japan and be building several HELE coal plants. See http://joannenova.com.au/2017/02/japan-building-45-hele-coal-plants-australia-1-maybe/ for some details. Perry also defended the Trump administration’s endorsement of coal initiatives, despite concerns over climate change. He believes that clean coal is not only pragmatic, but will become commonplace. At what point would RWE actually be committing significant amounts of real money to the project? Is this just a case of them keeping their irons hot by starting the planning proposals with an option to either withdraw, or go full speed ahead when the UK grid reaches a crisis point. They may then be able to extract some lovely guaranteed prices from a desperate government and be first-to-market with a new power station. Why are RWE doing this? Just another spanner in the Brexit works. RWE already own the land as the operators of the old power station, and have cancelled the sale of it. Ouch, that’ll leave a mark on the Greens. There are also concerns about the effects of the soot that comes from burning the organic fuel. But that won’t prevent the usual suspects moaning about one measly gas power plant in the UK. How true! First the instability would disappear and shortly after the “Renewables” would disappear. Look at what happened in Spain when the government ran out of money to subsidize wind & solar. Unit cost of power might double and £1000s would have to be spent per household. If you consider ‘why build it’, there is a possible reason not yet mentioned. If you expect rolling power cuts to keep (some of) the lights on where is the last place for cuts? If that circumstance arises the earnings could be substantial. Perhaps the Gov. already has a quiet agreement in place! Trump gas or Putin gas? Wales joins the new gas generation game ‘after three years of public consultation’. The UK government has approved the development of a 1GW gas-fired power plant in Wrexham, north Wales.